The Dutchman Sail Flaking System uses vertical control lines laced through fairleads in the sail. The lines are attached to the topping lift and at the base of the sail, and don’t move. The sail slides up and down on the lines like a Roman shade. As you drop the sail, the lines guide the main down to alternate sides of the boom. A few seconds straightening, and you’re done. One person can perfectly flake pretty much any size sail in under 20 seconds. Many owners don’t even bother with sail ties. Offshore sailors particularly like how easy it makes reefing. The system collects the sail on the boom with no need to tie in the intermediate reef points. If your lines are led aft, you can reef entirely from the cockpit. The “Dutchman” works with conventional or full-batten sails, and can be easily retrofitted to an existing main. There is no effect on sail shape. The sail can’t get caught on the Dutchman lines is it is raised or lowered. Lazy jacks catch often, particularly in a sloppy sea. Lazy jacks were developed for gaff or junk rigs which the Dutchman can’t work with. With such rigs, the leech is always behind the jack lines, so they never catch the sail. Many people find it annoying that Lazy Jacks always catch the leech as you raise and lower a modern sail, even if you’re head to wind. Imagine hoisting the sail between a web of lines about one foot apart with the leech moving back and forth. No wonder it catches. There’s no need to head into the wind to raise, lower, or reef the sail. Just let the sail luff. The Dutchman lines pass through the fairleads in the sail every 2 to 3 feet, so they can’t chafe the sail. The Dutchman tabs automatically slacken the control lines after the sail is raised. Adjust it once and you’re done. Lazy jacks have to be adjusted or moved forward and back every time you raise and lower the sail. More importantly, the Dutchman works better with today’s stiffer sails. Lazy jacks were fine with the soft sails of 30 years ago that you rolled up, but do not offer enough space between the lines to make nice, big, loose folds with today’s stiffer sail fabrics. The Dutchman is inconspicuous, with no noise, chafe, catching or performance loss. Your sail lasts longer, and it’s only about $200-$300 over the cost of Lazy jacks. Not a bad deal. And probably why, after more than 14 years and 20,000 systems, it’s the number one system and growing. Easier to use. Easier on your sails. Performance loss is par with adding a flag halyard. The control lines are about 2mm (1/16th inch) in diameter, and the “hole” in the sail is really a vertical slit just wide enough for the control line to pass through. There is virtually no performance loss. When you raise the sail, the Dutchman tabs sewn to the base of the sail stand up, lessening the tension on the control lines. When the sail is dropped, it pushes down on the tabs, tightening the control lines. There’s no adjusting needed, unlike lazy jacks, which need a lot of messing with. Use normal slab or jiffy reefing. However, since the Dutchman holds the sail on the boom, you don’t need to tie off the intermediate reef points (the ones in the middle of the sail). Many owners, especially those who sail offshore, comment on how much easier this makes the reefing. Of course, it helps that the sail is not flogging itself all over the deck! What About the Sail Cover? Most owners modify their existing cover by adding vertical zippers that run up one side. The C System eliminates the need for zippered slits. Or use a sailcover which is split along the top, and fastened to either side of the boom. Unroll and snap each half to the control line, then use Velcro to fasten together. Be sure your sailcover fits loosely. A tight cover makes sharp creases, which will shorten your sail’s life. 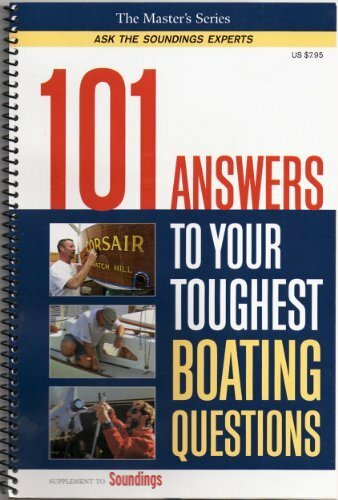 Q: I’m thinking about installing lazy-jacks or a Dutchman system to aid in dousing my sails. Which is best? A: Both lazyjacks and the Dutchman are dependable, non-mechanical sail-control systems. Lazyjacks are known for their simplicity and are a great help in guiding themainsail aloft, as well as containing it atop the boom when dropped. But lazyjacks require the skipper to keep precisely head-to-wind and carefully monitor the process, since battens sometimes can snare the lazyjack lines and create problems as the sail comes down under its own weight or is hoisted. Although less expensive than a Dutchman, lazyjacks don’t attach to the sail. As a result, the sail drops into a pile along the boom. Battens provide some orderliness, but flaking is usually necessary before putting on the sail cover. Using a StackPack zippered sail cover can ease this process, since it remains on the boom and the sail drops into it like a pod. Lazyjacks also tend to put creases in the sails and cause chafe, shortening their life span. However, lazyjacks are better suited for older sails, which often are somewhat worn and softened. Installing lazyjacks also means it might be necessary to modify your sail cover to accommodate the lines. With a Dutchman system, the sail is doused and flaked at the same time. A series of grommets are mounted into the sail and are threaded with control lines that lead upward, similar to a Roman window shade. Most experts concur that a Dutchman, albeit more expensive, is both easier to use and gentler on sailcloth than lazyjacks. Keep in mind that the Dutchman should be installed by a sailmaker because only perfect alignment will assure proper operation. Also, a Dutchman, unlike lazyjacks, isn’t suitable for gaff-rigged boats.